In early June of 2018, J.P. Morgan strategist Marko Kolanovic made a startling statement. He said that, since March 2018, President Donald Trump’s tough stance on fair trade practices had evaporated more than $1 trillion in market value. Such a drastic impact exponentially raises interest in safe dividend stocks to buy. Of course, since Kolanovic’s analysis went public, the markets have reasserted themselves. However, that still doesn’t take away from investors’ uneasiness with the White House’s economic policies. If only the trade conflict was the sole problem we faced! Along with other geopolitical hotspots, our domestic standing has turned into shambles. Honestly, I cannot keep track of all the accusations and indictments flying around. Credit-card company American Express (NYSE:AXP), offering a yield of 1.4%, isn’t the most generous of dividend stocks. However, in my opinion, it’s one of the safest places to earn passive income. Let’s get the low-hanging fruit out of the way. First, American Express is a well-known and established credit provider and financial institution. This is a business that will likely not fade into obscurity, irrespective of economic conditions. Moreover, AXP caters to an affluent client base relative to its competitors. Second, AXP has significant international expansion opportunities. While American Express enjoys acceptance in over 130 countries, that’s significantly below MasterCard’s (NYSE:MA) 210-plus countries. And MasterCard isn’t the number one credit card … Visa (NYSE:V) is. While seemingly a disadvantage, this allows AXP to steal market share. Based on its resurgent revenue stream, the company is on the right track. I must admit that I’m not the biggest fan of UnitedHealth Group (NYSE:UNH). By their nature, insurance providers don’t offer the most upside potential in the markets. That said, health insurance is, and will continue to be a massively lucratively market, if only for cynical reasons. In July, I mentioned that the average American lifestyle is shockingly unhealthy. Furthermore, we’re simply not kicking our habit of eating processed foods and living sedentary lives. Beyond that, UNH features consistently strong revenue growth, and barring unusual events, this year will be no different. On the yield front, UNH again isn’t the most lavish among dividend stocks to buy. But the company’s very predictable free cash flow and overall industry provide significant confidence for prospective investors. It’s not often that you celebrate professional failure. But for Disney (NYSE:DIS), Wall Street apparently sees the silver lining after the iconic entertainment firm lost a bidding war to long-time rival Comcast (NASDAQ:CMCSA). At stake was British television company Sky (OTCMKTS:SKYAY). On the surface, you could understand the near-desperation with which the two media titans fought. Sky opens the door to the lucrative European TV market. Comcast, in particular, lost out to Disney over another protracted battle for Twenty-First Century Fox (NASDAQ:FOXA). Call it the male ego gone wild, but Comcast wasn’t leaving this battlefield empty-handed. CMCSA shareholders, though, had a differing opinion. This is a huge, expensive bet that Comcast can turn itself around due to Sky. Subsequently, CMCSA dropped 6% on the announcement, while DIS stock gained slightly over 2%. The best part for DIS shareholders is that they know management has free reign to expand without an excessively onerous weight. Sky certainly offered benefits, but they also brought with them traditional-TV baggage. Thanks to a recent hissy fit with an iconic motorcycle manufacturer, President Trump is steadily running out of high-profile supporters. But one company stands in the batter’s box that is safe from Trump’s Twitter (NYSE:TWTR) outbursts: Boeing (NYSE:BA). Let’s get the obvious out of the way: Boeing manufacturers the most important airplane in the world, Air Force One. While Trump shows no mercy when he’s upset at something or someone, even he can’t go toe-to-toe with BA. The optics of a President attacking Boeing just won’t fly. More importantly, BA stock has proven relatively immune to the ongoing China tariffs. Despite the White House imposing broad-scale sanctions, the Chinese have been measured in their response. As a result, Boeing’s management team forecasts continued growth in China despite obvious geopolitical challenges. They have a right to be confident. China has left open the door for large airplanes, signaling that they recognize BA quality. Thus, while Boeing’s 2.1% yield isn’t the most attractive for dividend stocks, it should prove incredibly safe. In terms of upside growth, I’m not a huge fan of Apple (NASDAQ:AAPL). Don’t get this wrong: I’m in awe of what the late Steve Jobs has done in turning a garage-based company into a global behemoth. However, that doesn’t take away from the fact that AAPL is still a consumer-electronics investment, which has pros and cons. The obvious benefit to owning AAPL is that today, it’s the undisputed king. Everybody clamors for the latest iPhone or whatever gadget Apple is selling next. The company has also become a cultural phenomenon. That said, the inherent risk is that Apple becomes mired in a commoditized market. For instance, peak smartphone has become an increasingly painful reality. You can’t really distinguish among devices nowadays, which hurts AAPL unless management can spark excitement again. But if your primary focus is buying safe dividend stocks, AAPL offers an excellent look. The company features strong earnings and predictable FCF, and sits on nearly $86.5 billion of cash. In my view, United Technologies (NYSE:UTX) offers a safe, predictable route to both upside gains and passive income. In the markets, UTX would fall under many conservative analysts’ bag of stocks to buy. Primarily, United Technologies owns the Pratt & Whitney division that powers our most advanced warcraft. This comes in handy with our dealings with North Korea. Despite admittedly positive developments, we’re still negotiating with a despot. History tells me that North Korea will break any peace agreement. This is why I stand with former President Theodore Roosevelt: speak softly and carry a big stick. For those who love safe dividend stocks, UTX offers a great look. The company has excellent financials, which includes steadily rising revenues and strong earnings. Additionally, I like the predictability of United Technologies’ cash flow. Only in recent years have analysts considered retail plays as stocks to buy. And even then, they apply significant caution into the names they pick. Thanks to the emergence of e-commerce — and by e-commerce, I mean Amazon (NASDAQ:AMZN) — brick-and-mortars have struggled for traction and relevancy. But Walmart (NYSE:WMT) should emerge not only unscathed but vastly improved. Management looked at Amazon’s success and began shoring up their own e-commerce channels. Despite being a retail fixture for decades, WMT is proving technologically adept. As an example, management is turning to the blockchain to help contain food poisoning. WMT also levers the substantial advantage of having a physical presence. No matter how great online shopping is, nothing beats going out to the store and attaining instant satisfaction. Plus, WMT sells everything, with some stores open 24 hours. In other words, WMT is one of the safest dividend stocks to buy because Amazon can’t topple its moat. The pharmaceutical sector is always a tough business. Should a proposed drug fail to meet expectations during clinical trials, a lesser-financed outfit could quickly crumble. Add to this mix the political environment, and you have a combustible recipe. Still, I believe Amgen (NASDAQ:AMGN) offers a distinctive and positive approach to the sector. Unlike other pharma giants, AMGN focuses on a handful of therapies that work. Yes, nominally, they’re very expensive. However, they’re for extremely serious diseases and conditions, and are not taken frequently. As a result, AMGN stock is a decisive winner, having gained around 11% in the last year. Moreover, the company features enticing fundamental strengths. Amgen puts up consistently positive earnings, as well as predictable FCF. It also has over $29 billion in cash, providing confidence for its 3% dividend yield. Soft-drink giant Coca-Cola (NYSE:KO) has had a rough time dealing with changing consumer habits. Americans, especially the younger demographic, eschew sugary beverages for healthier alternatives. Overall, I see Coca-Cola making the changes it needs to stay relevant in this ultra-competitive sector. However, I’m particularly intrigued with Coca-Cola European Partners (NYSE:CCEP). CCEP has shot up over 11% YTD. Coca-Cola’s European bottler and distributor also pays out a fairly generous 2.5% dividend yield. While it has enjoyed a good year so far, CCEP has the goods to continue moving further down the road. While most people around the world are shifting towards healthy food and beverage options, the numbers speak the loudest. In western Europe, the market value of soft drinks have steadily risen over the past several years. That signals to me that CCEP benefits from a growing industry. Moreover, it has the fundamental stability to keep its attractive yield intact. Procter & Gamble (NYSE:PG) is a decidedly unsexy investment. A consumer-staples play, nobody really clamors to add PG stock to their portfolio. It’s just there in case you need a usually dependable stock to protect yourself. In 2019, PG has gained 13.5%. Part of the recovery is likely due to its 2.77% dividend yield, which should prove very sustainable. For one thing, PG has an undeniable hold on consumer staples. No matter what, people have to buy things like soap, detergents and cold medicines. Second, the company has steadily grown its top and bottom lines, and it features robust FCF. J.M. Smucker (NYSE:SJM) earnings results have been mixed in recent years. However, one point to consider is its industry. As a popular food and beverage provider, the company’s products will never go out of style. That provides a measure of reassurance, especially if the markets hit unforeseen headwinds. Furthermore, J.M. Smucker is one of the more generous safe dividend stocks to buy with a 2.9% yield. Thanks to relatively consistent earnings and positive FCF, investors can confidently rely on SJM. In 2018, Harley-Davidson (NYSE:HOG) experienced a double-whammy. As alluded to earlier, President Trump lashed out on HOG because management doesn’t agree with his stance on tariffs. That opposition doesn’t come as a surprise since HOG faces a demographic challenge. Not many young people desire Harley-Davidson motorcycles, which sounds almost sacrilegious. The other problem is that HOG has disappointed in the markets. On a 12-month basis, shares are down nearly 7%. With the ongoing China tariffs, Wall Street doesn’t feel comfortable with the motorcycle manufacturer’s growth prospects. But let’s give credit to management, which isn’t taking consumer trends lying down. Instead, it’s diving into relevant segments, such as committing to electric motorcycles. While it doesn’t look great now, I think patient investors will be very happy with HOG in the future, and the 13% gain of HOG stock in 2019 shows that investors think it’s on the right track. 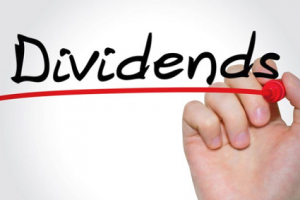 Usually, safe dividend stocks to buy offer limited passive income. That’s basically how the free market works: if you want additional rewards, you must ramp up the risk. But for Exxon Mobil (NYSE:XOM), its 4% dividend yield is as good as gold. Actually, right now, it’s better than gold for one simple reason: have you seen gas prices recently? You better believe that the current oil market has benefitted XOM stock. In 2019, shares are up almost 20%. Despite our greenbacks being generally stronger than other currencies, we’re going to feel more pain at the pump. In addition to North Korea, Trump is taking on Iran. Through sanctions, he hopes to bring Iran to the negotiating table, with denuclearization an absolute must. The problem is that Iran exports two million barrels of crude oil daily. Undoubtedly, we can win a war of attrition with the Middle Eastern nation. However, it will cost us. Unless that is, you’re a XOM shareholder. International Business Machines (NYSE:IBM) is another one of those dividend stocks that have tried investors’ patience. Although it has earned a powerful reputation in the tech sector, many people regard IBM as a legacy company. But that doesn’t mean this old dog is forever doomed to be irrelevant. Remember that tidbit earlier about Walmart using the blockchain to help eliminate food-poisoning cases? Well, the provider of the blockchain platform is none other than IBM. I believe it’s incredibly significant that Walmart could have gone with any number of options. Instead, it went with IBM, not some upstart competitor promising much but delivering little. Plus, IBM has the foundational strength to support its 4.4% dividend yield. It has consistently positive earnings, as well as reliable FCF. Finally, IBM is sitting on over $12 billion of cash. No one doubts that AT&T (NYSE:T) is a favorite among dividend stocks. The telecom giant currently offers nearly a 6.45% yield, which is better than some blue chips’ equity-market returns. That said, analysts have debated whether or not T stock is worth its yield. Management has incurred significant debt to get to where it is. AT&T is exposed to disparate businesses, which has its own risks. But with the 5G rollout, I don’t think you can afford to ignore T stock. Sure, rival Verizon Communications (NYSE:VZ) stole AT&T’s thunder by becoming the world’s first commercial 5G service provider. And I think VZ can do very well with their first-to-market advantage. However, AT&T is taking extra time to do things right, where they will roll out 5G using only standard equipment. Over the long run, the smart money favors T stock.